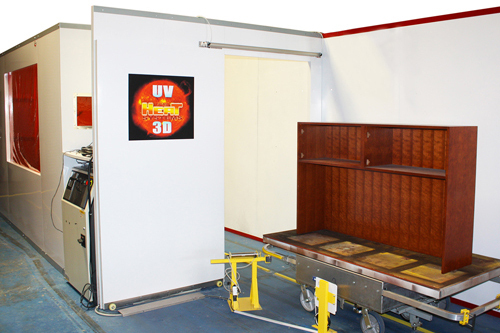 Prime Heat's UV3D Finishing System is a state of the art finishing line designed to cure Ultraviolet coatings on three-dimensional products in a single pass. 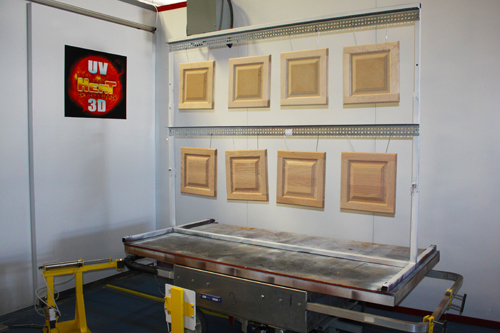 Using our PowerCarts, a UV3D system will produce the same quantity of finished product in the same factory floor space requirements as a Flatline UV system. Both sides of the product are sprayed and finished in one pass whereas a flatline system requires up to 6 passes through a system. 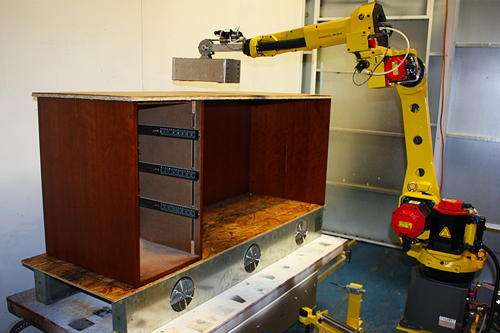 The carts are extremely smart and can communicate with both our HalCon Tunnels and our UV3D robot cells. The PowerCart system allows for batching product, which reduces color matching and inventory issues. 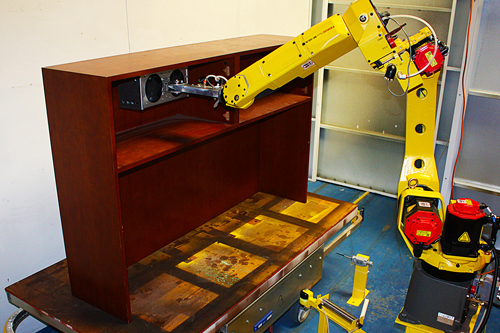 With a UV3D system, you can spray multiple colors and stains, or convential finishes, and the PowerCart will communicate to both the tunnel and robots what cure program to initiate. 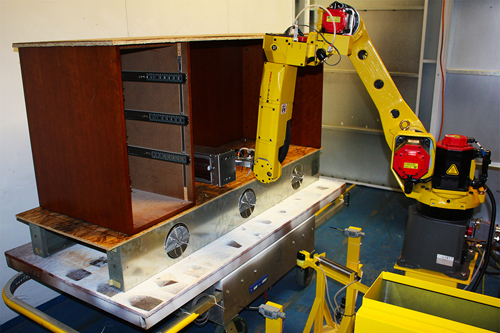 The robots can be programmed with multiple programs allowing the loading operator to pick the one best suited for the product being placed on the PowerCart. 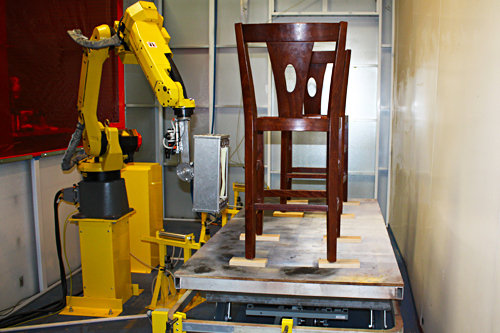 The robots then recognize that unique product and run the appropriate program automatically. A flatline system needs to flushed every time you change a color or coating. 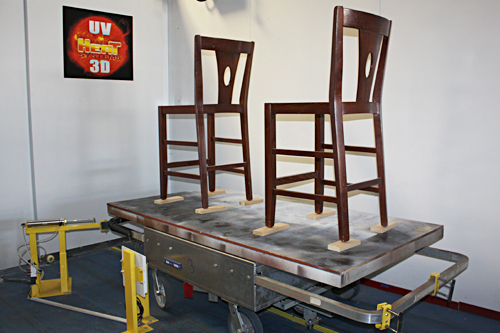 A Powercart UV3D line, however, does not require stacking or handling of the product and the system is easy to expandfor higher production or additional finish glaze operations. In addition, the UV3D system will use the same amount of labor, or even less, and is the same cost, or possibly less, than a flatline system. This ability to use UV Green Technology coatings on case good products with a 5 minute full-cure cycle will give a company a major technological and production efficiency advantage in a very competitive world market.